April 7 is World Health Day in the Philippines. This holiday is actually celebrated by every state that is a member of the World Health Organization. It is of particular import to that international agency even among the rest of its official global public health days because it technically marked the organization’s birth. Today, the WHO uses each annual World Health Day to promote awareness of and organize initiatives against a specific health problem of global importance. Unlike the rest of the WHO’s official global public health days, there is no fixed theme for World Health Day. World TB Day, World Malaria Day, World AIDS Day, and the others all clearly have fixed problems to attack each year that they are celebrated. World Health Day, by contrast, attacks a new problem each year. Themes for previous World Health Days have included the need for future generations’ antimicrobial medicines (to counteract especially drug-resistant microorganisms capable of causing illness) in 2011, the link between good health and life expectancy in 2012, the urgency of controlling hypertension (especially as related to cardiovascular disease, another big health issue) and the importance of food safety in 2015. 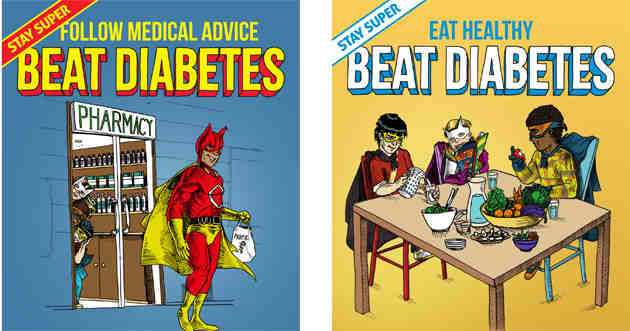 This year, the selected theme is that of beating diabetes. The health problems the WHO chooses to highlight each year for World Health Day tend to be ones of urgency—and if you take a look at the numbers, diabetes has become that. Rising numbers of diabetes sufferers have caused the WHO to predict that it may become the 7th leading cause of death by 2030. The estimated 350 million sufferers worldwide are also expected to double in number within the next 2 decades. In some ways, other health issues of late have been suggesting the trend for some time. Rising figures in obesity around the globe do seem to suggest higher risk of diabetes, for one thing. Interestingly enough, though, a lot of people suffering from diabetes have not yet been diagnosed. In the Southeast Asian region alone, the number of undiagnosed diabetics could be as high as 50% of the total. In spite of that, most cases are also billed by doctors as preventable. What Are the Goals of World Health Day in 2016? Enhanced awareness of diabetes as a disease, its consequences and risk factors, and the increasing number of persons who have it worldwide. Execution as well as encouragement of initiatives to treat and deal with the problem on multiple levels. Launch the organization’s very first global report on the issue, which may shed more light on the urgency of the issue as well as clarify the agency’s advocacies on prevention and treatment of the disease. The important thing to note here is that World Health Day is supposed to be a movement for every one of us. The WHO is calling for increased action and awareness as to the problem not only from state bodies or potential corporate funders but from even the diabetics themselves. The idea is to make sure that more people are informed of what is going on and given more means to help. The WHO’s page for the 2016 World Health Day Campaign actually has a section for event registration, as an example. This shows that just about anyone interested in participating can set up his own local World Health Day event around the theme and even talk to other event-planners for advice or simply to share notes. Even if you do not register an event, there are other ways to join others in observing the day. You can share information about diabetes and the WHO’s campaign through your social media accounts, for example. You can even share this article from SeriousMD! 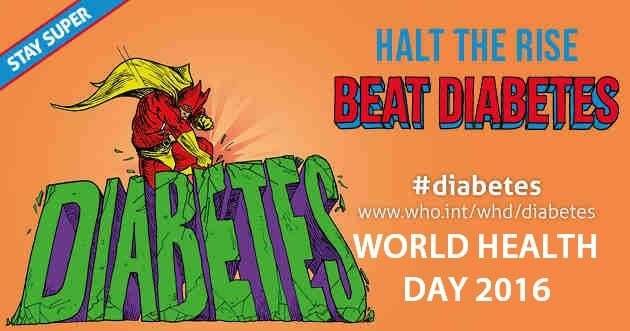 Help the WHO beat diabetes for World Health Day in 2016! This entry was posted in Your Health and tagged diabetes, philippine world health day, world health day philippines. Bookmark the permalink.